Every once in a while you get to a situation where you want to delete a record. As someone who really enjoys BI, deleting records is something I’m not a huge fan of. But, lets hypothetically delete a Contact after they are marked as inactive. This would be a great time for us to use the Record Delete element! If you have not yet read the Record Create post, go read that for some tips and tricks that will be skipped in this post. Where is the Record Delete element? 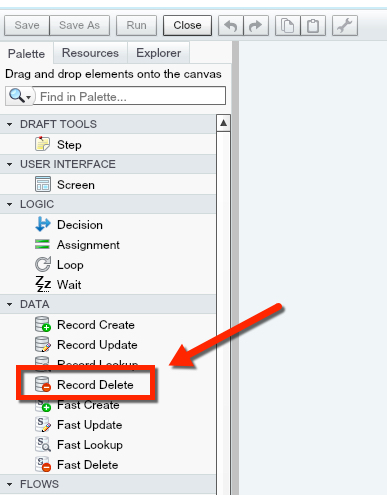 You can find the Record Delete element under the DATA section of the Palette. Now, all we have to do is tell Salesforce which record we want to delete. In this case we are going to have the ContactId from the Contact that triggered our Flow (by the box being checked TRUE). 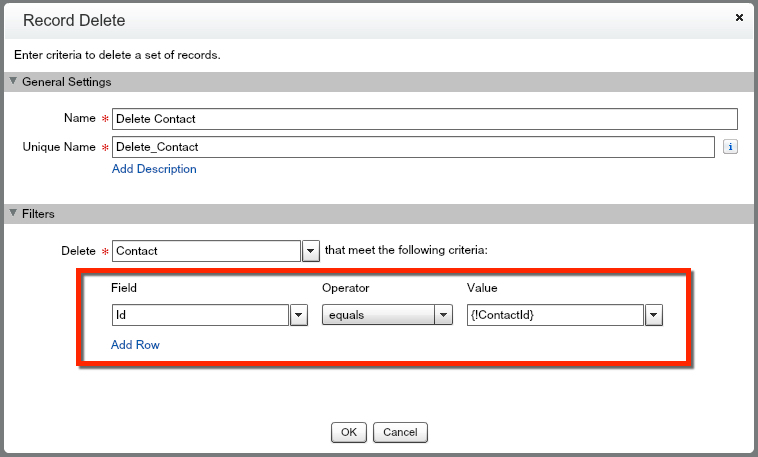 RECAP: Record Delete elements let you delete any record in Salesforce! This is a power that you should not abuse. 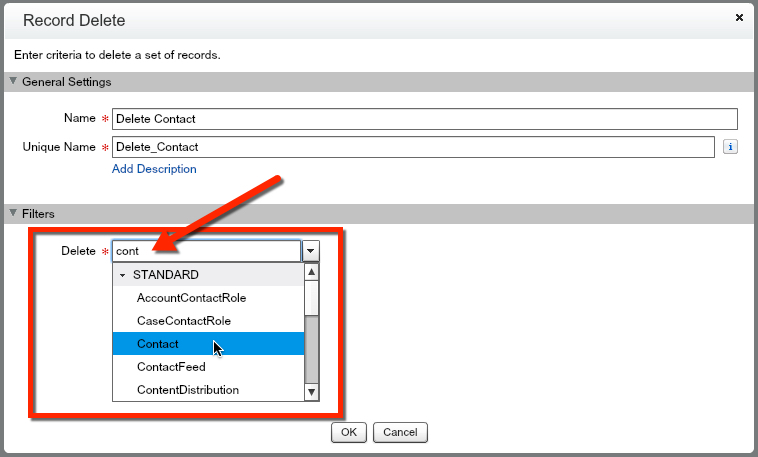 They are super simple to configure, but just make sure that you don’t delete the wrong record!